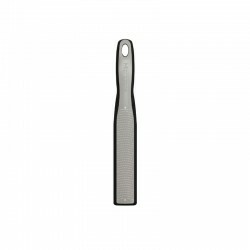 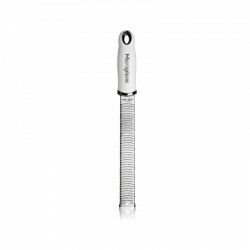 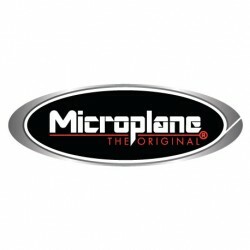 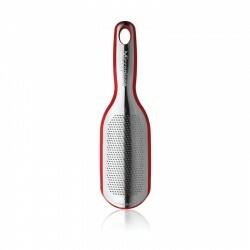 The Microplane Professional Series impresses with elegance and simplistic design. 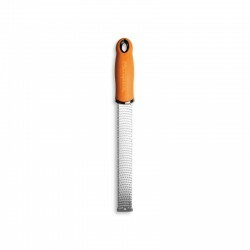 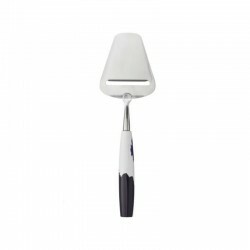 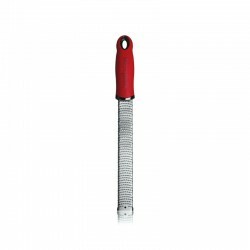 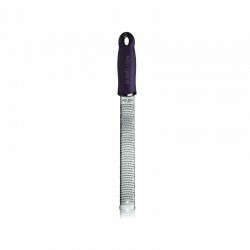 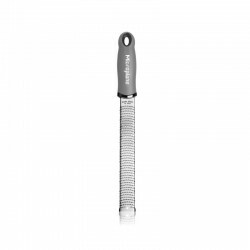 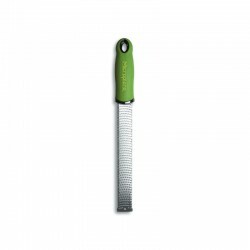 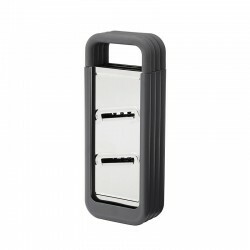 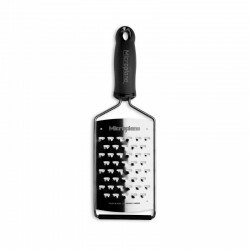 Made from pure stainless steel and, as all other Microplane products, characterized by the superior photo-etched blade delivering precisely cut food without crushing. 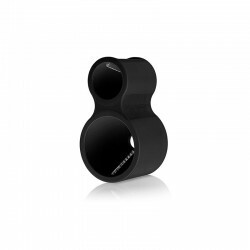 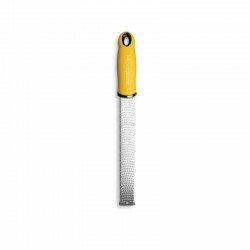 Aroma and flavor are guaranteed through the precise cutting technology. 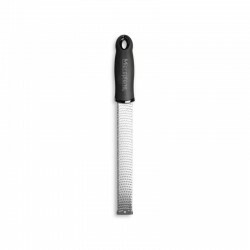 The ribbon blade produces a fine, long grating result. 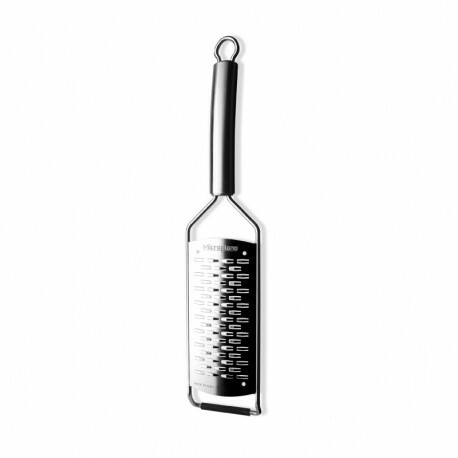 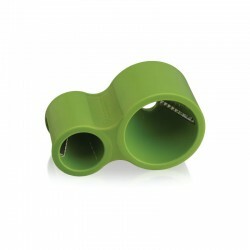 The efficiency of this blade is increased by the fact that the food grates easily back and forth. 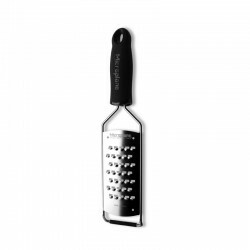 With the razor-sharp blades, cut apples, potato, carrot, garlic, coconuts, chocolate, onions, hard and soft cheese, zucchini and much more quickly and precisely. Care Instructions Dishwasher safe. 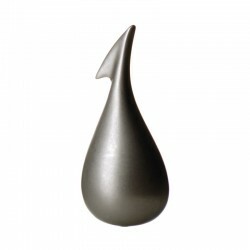 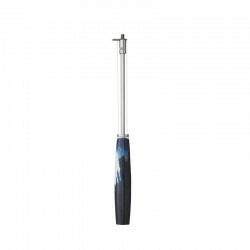 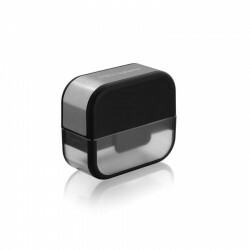 Convenient cleaning, simply rinse under running water and allow to drip dry.